Now when it comes to space travel and establishing life in Mars, the last thing any of us think about is how Mars compares to Antarctica. After all, Antarctica is a place on Earth, not something that is found in the middle of space on another planet. However, some recent discoveries in Antarctica signal some kind of hope for what we might find on Mars. Now honestly when people think of Antarctica they tend to think of ice covered glaciers or just lots of ice in general, the name brings about cold thoughts. What you might find interesting enough is that even though Antarctica has plenty of ice it is also the world’s largest desert. And we all know how hot and dry deserts can get, which is where the most recent finding relates to life on Mars. After all, Mars is a pretty dry and desolate planet. Recently a team of researchers exploring Antarctica discovered that underneath the dry land there was a series of lakes. What this means for us is there is now strong evidence that a new ecosystem might be alive and well underneath Antarctica, one that is entirely supported by the salty lakes and sediment. But, that is not the only noteworthy thing in regards to this new discovery. One of the greatest things about this recent discovery is it allows scientists to gain a better understanding of the dynamics of glaciers. It also gives scientists a better idea about how Antarctica is actually dealing with the rising temperatures that are happening throughout the world. Finding out all of this information might eventually change the way people think about Antarctica in general and the role it plays in our ecosystems. One of the most talked about things in Antarctica, aside from the glaciers, is the Blood Falls. If you haven’t seen them, go do a quick search on Google, as words seriously cannot describe the sheer beauty of the Blood Falls. Based on this recent discovery though scientists now understand that the underground saltwater inside the lakes is what creates the amazing sight. So, now perhaps you are wondering about how these lakes were spotted. After all, we have already told you that the lakes are miles below the deserts of Antarctica, so if they are underground how can they be spotted. Scientists used SkyTEM, which is an electromagnetic mapping sensor system that is controlled from the air by a helicopter. Using this system, Jill Mikucki and her team of researchers scanned the McMurdo Dry Valleys. 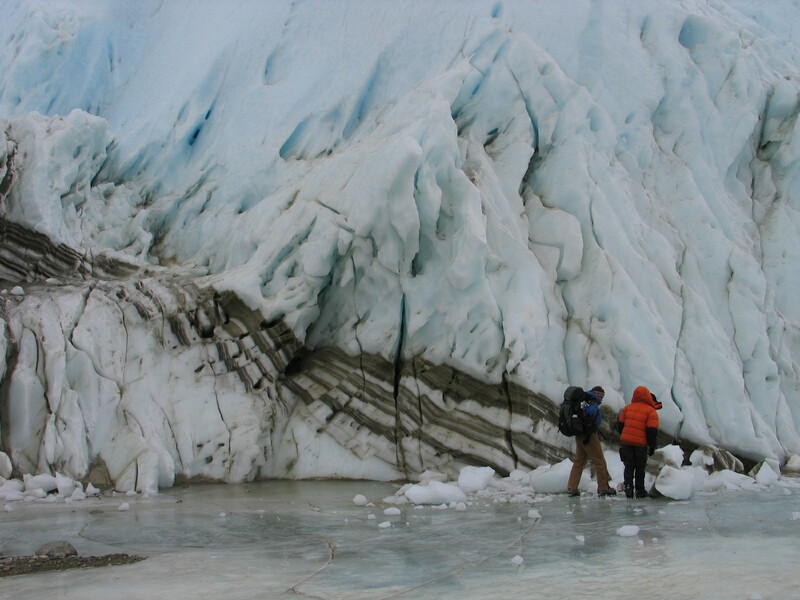 What they found was huge aquifers underneath the frozen soil, as well as underneath the massive glaciers. So, how does this relate to life in Mars you ask? Well scientists compare the McMurdo Dry Valleys to Mars because of the very dry environment. And, if they found these lakes underneath Antarctica there is hope of finding something similar somewhere on Mars.